A Heritage Seedlings selection, much more upright and tree-like. The dark green foliage is of normal size and shape, but its silhouette is an attractive flame shape, twice as tall as wide with unusually tight branch angles. If you're pruning wild seedlings into tree form, abandon that tactic to save labor. 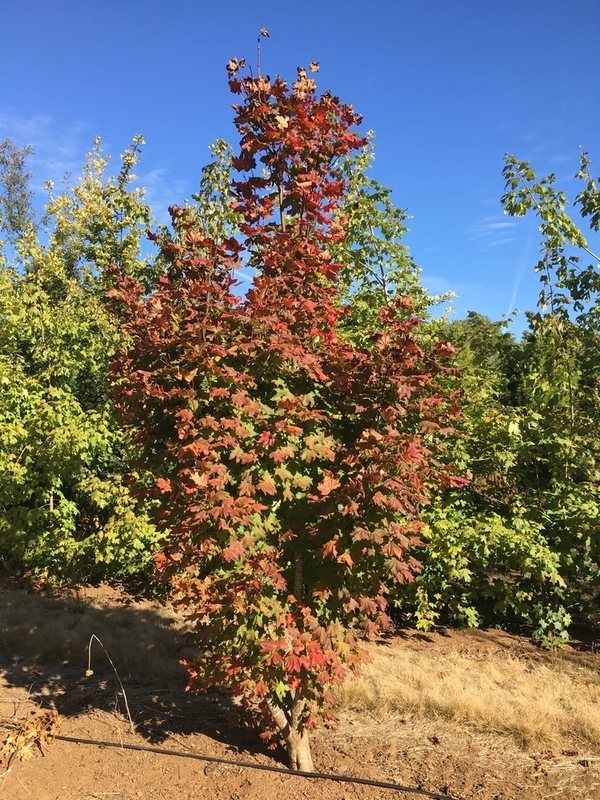 Upgrade your vine maple list to offer this new native selection and show your customers the benefit of predictable form in a residential landscape. It offers the prospect of uniformity and lower maintenance in a commercial job.